"A UK trial of rituximab is essential to move ME out of the realm of psychiatric dogma and into the realm of medical reality." Fane Mensah (currently employed at UCL): An astute, highly motivated and determined young scientist, who holds a master in Infection and Immunity. Fane has shown to perform high quality research resulted in publications during his Bachelor and Master studies. Fane has already performed really promising research on B cell phenotype in ME/CFS patients, which we propose to extend with the expertise of Dr. Cambridge and the clinical and immunological insight in ME/CFS by Drs. Bansal and Drs. Berkovitz. 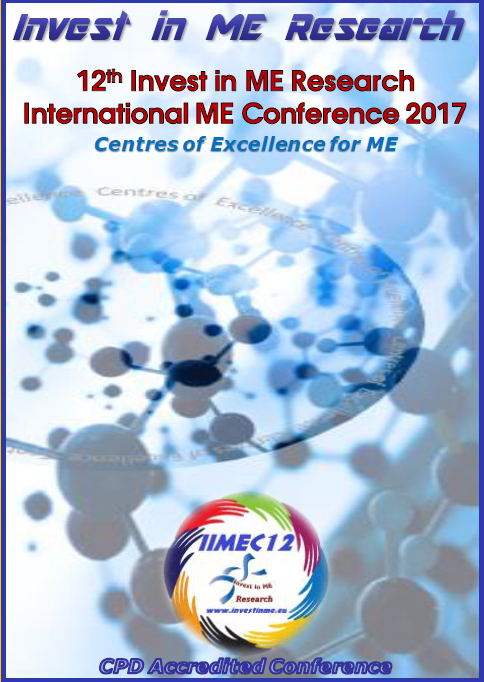 We will also seek to collaborate with Research groups who share a similar interest in ME/CFS immunology and of Invest ME Research. Following the preliminary results which Professor Olav Mella recently publicly released from the Phase III multi-centre double-blinded placebo-controlled Rituximab Clinical Trial (see statement 21st November 2017) the charity has had discussions with advisors and researchers and has now received further communication from Dr Fluge in Norway. Invest in ME Research has issued the statement below regarding the planned UK trial. Since 2013, the charity has been funding and facilitating a project to perform a clinical trial of rituximab for ME. The trial was eventually being set up in the Norwich Research Park where the charity’s proposal for a Centre of Excellence for ME is being developed. Cooperation was established with the Norwegian team at Haukeland University Hospital, where a Phase III multi-centre clinical trial was being performed, and the charity had been arranging another visit to Norwich by the Norwegian team once they had broken the clinical trial codes, which finally occurred in the autumn of 2017. In November 2017, in a surprise development, the Norwegian team issued a preliminary assessment from the trial that had proven to be negative. We had no warning of these results prior to receiving the news. This news forced the charity to reconsider the planned UK trial. After discussions with the charity’s advisors and researchers and the Norwegian team the charity has been advised that the UK trial of rituximab for ME is no longer practical or even possible to perform with the current state of knowledge following the preliminary results from the Phase III trial. In the paragraphs below we have included a quick summary of the events in the trial development in order to make it easier to understand, and followed with paragraphs containing more detail. 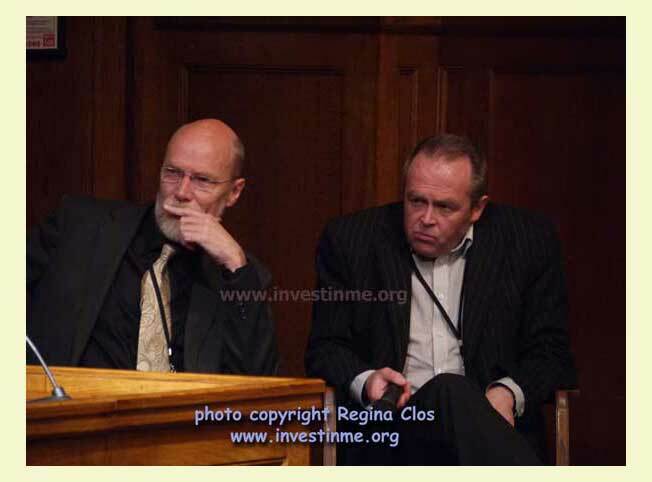 At the 6th Invest in ME Research International ME Conference in London in 2011, Norwegian oncologists, Dr Øystein Fluge and Professor Olav Mella announced strikingly successful results in their pilot study of the monoclonal antibody rituximab on ME/CFS patients. In that study 67% of ME/CFS patients had moderate to major improvement, compared to only 13% of controls. At the 2012 IiME Conference the charity was asked about its plans and a statement was made of hopes to initiate a clinical trial of rituximab for ME. The charity believed that the UK needed a rituximab trial, both to benefit UK patients and to support the international effort. Confirmatory trials are crucial because without evidence on safety and efficacy from independent studies in several locations, regulatory bodies will not approve or license rituximab for use in ME. From the time of the 2012 conference the charity spent a year working on that idea as part of its efforts in setting up a UK Centre of Excellence for ME. The charity contacted universities throughout the UK in an attempt at raising interest for biomedical research into ME and for a clinical trial of rituximab for ME patients. Many researchers were invited to the BRMEC3 colloquium in London in May 2013. From that meeting the researchers from UCL whom the charity had contacted expressed interest in supporting the idea and agreed to work on helping with this project. The charity invited Jonathan Edwards, Emeritus Professor of Connective Tissue Medicine at University College London (UCL), to attend the 2013 conference. On 6 June 2013, the charity announced that it was initiating a UK rituximab trial and began fundraising for it. The fundraising for this trial was organised and coordinated by IiMER. From the beginning, the aim was to build a fund to accomplish this single-handedly but the charity recognised this was a huge task and therefore were happy to accept support and donations or pledges from other charities and organisations and individuals. Several local UK and international groups did support the charity in this – along with hundreds of patients and carers. We also received a considerable pledge of funds from the Hendrie Foundation. Professor Edwards agreed to advise the charity on the trial. He is known worldwide for his work in B cell immunology and as a pioneer in the clinical trials of rituximab for rheumatoid arthritis. IiMER felt privileged that Professor Edwards would agree to advise the charity on setting up a rituximab trial for ME patients as well as providing his unique experiences and knowledge to ME. It was agreed that, before a clinical trial planning could proceed, a preliminary study would be necessary with the objective of confirming the earlier work of Dr Amolak Bansal on B-cells, but using a different cohort of ME patients. Professor Edwards believed this was a useful study in its own right as well as a pre-requisite for the clinical trial. The clinical trial was intended to be performed when the preliminary research had produced sufficient data to enable the trial to begin and when the researchers involved felt that the project definition was sound enough to enable a sound scientific project to be performed. This preliminary project was started and completed at UCL and the results were published here (http://www.investinme.org/ukrtbcell-ce-proj1.shtml). Invest in ME Research organised an early visit to Bergen by Professor Edwards to meet Dr Fluge and Professor Mella to discuss their clinical trial in detail - thus enhancing cooperation and research. The original plan was for UCL to perform a clinical trial. Due to internal reorganisation and downsizing of the clinical trials unit there, which led to reassignment of the Principal Investigator, it was found not to be possible to continue to locate the trial at UCL. Rather than give up the charity continued to work to find a solution to this. A decision was made to continue to perform B-cell research at UCL that augmented the work being performed by the Norwegian researchers at Haukeland University Hospital in Bergen whilst a new location was found for the clinical trial. It would secure the longer-term research into ME and would continue the relationship that IiMER had built up with UCL. 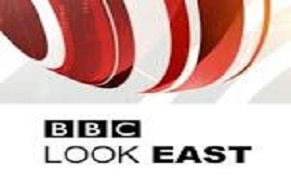 After advertising on the charity’s web site, and after discussions with the researchers, it was decided that this would take place in Norwich Research Park after discussions with UEA and IFR (now Quadram Institute Bioscience). The new location for a trial was where Invest in ME Research was focusing efforts to develop the UK Centre of Excellence for ME hub that would implement a strategy of high-quality biomedical research into ME. During this time, excellent working relationships were consolidated between the UK researchers funded by IiMER and the Norwegian researchers at Haukeland University hospital in Bergen. Owing to the phase III trial being performed by the Norwegians and the collaboration between UK and Norwegian researchers then the data from the Norwegian trial would influence the direction and eventual dates of the trial in Norwich. Dr Fluge and members of his team from Bergen visited the Centre in Norwich Research Park in early 2017 to discuss cooperation - click here for more detail. Another visit by Dr Fluge and his team was planned after the Phase III trial codes were to be broken and the plan was for the Norwegian team to assist the UK team in preparing the trial. A position for a Senior Research Associate was advertised in order to make the initial preparations for the trial. In November 2017 we received an email from Dr Fluge informing us of preliminary results of the trial. This was later discussed in a presentation by Professor Mella in Oslo, Norway. These results indicated a negative response. Although it will be some time before the full results are published the Norwegian team felt that they had to give out this information early in order to avoid disappointment in the placebo group in the trial and to avoid the treatment being offered in private practise. The UK trial preparation had been proceeding with a Senior Research Associate position already being advertised to help with the preparations and the charity had been preparing for another visit to Norwich Research Park by the Norwegian team to assist the researcher team for the UK trial. Once the charity received this news then the Senior Research Associate position was put on hold and not re-advertised. Over the November – January period the charity consulted with advisors and researchers. Another visit from the Norwegian team to Norwich was being arranged in order that we could all agree what would be the best way forward. Recently the charity was informed that the Norwegian team would be too busy to visit and Dr Fluge kindly explained the team’s thoughts to us in an email. After receiving advice from the charity’s advisors, and discussing with the Centre researchers and consultant and receiving Dr Fluge’s latest information, we have been advised that the UK trial of rituximab is no longer practical or even possible to perform with the current state of knowledge following the preliminary results from the Phase III trial. When the charity announced the UK trial and it’s plans to fund it then it was stated from the outset that any funds raised would go to other biomedical research if the trial could not be performed. The charity has several times kept the trial on track after suffering some setbacks. We have done more than many others would have done in such a position. The charity’s advisors and the researchers and consultant involved and the Norwegian team have now made it clear that it would not be advisable or possible to perform a UK rituximab trial, in light of the Norwegian Phase III trial results. Therefore, the charity will discuss with the Hendrie Foundation, who have made a large pledge toward the trial. We will then come to a decision on what biomedical research will be funded with whatever remains from the rituximab trial fund. We share the disappointment that all our supporters will have following the Norwegian results. The supporters of IiMER have been amazing. They have managed to help IiMER create a huge leap in awareness of ME - from being able to fund a trial, to create collaborations with researchers in Norway, and mainstream ME research. The charity and our supporters created something out of nothing. When others were merely talking about possibilities IiMER and supporters acted. It is to our supporters' credit that so much was achieved in raising awareness and in raising the funds necessary for a trial as estimated by our advisor. Our supporters exceeded all expectaions and raised more funds to support critical and valuable research at UCL. Although very much disappointed with this decision we remain optimistic and feel that there are still good opportunities to perform high-quality research and we will make every effort to continue to lead the way. Of the £520,000 raised or pledged for the rituximab trial and associated B-cell research £60,000 was spent on the preliminary B-cell study, and £110,000 was given to the follow-on B-cell research which was performed by Dr Jo Cambridge and PhD student Fane Mensah and involved collaboration with the Norwegian Haukeland researchers. An additional £9,000 was also given to fund a student participating in the research and assisting the UCL team for six months. In total £179,000 has been allocated to UCL for research over the period of 2013 – 2018. What remains from the raised/pledged funds is the original £350,000 estimate for the rituximab trial that had been set by our advisor, plus further funds that have since been raised. In April 2019 the paper "Rituximab for Patients With Myalgic Encephalomyelitis/Chronic Fatigue Syndrome" was published . 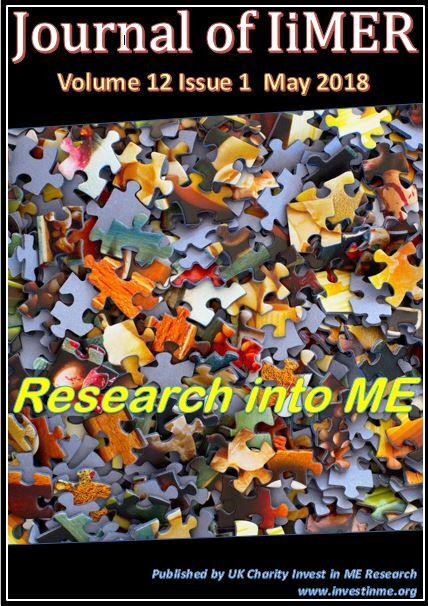 Funding via Invest in ME Research.